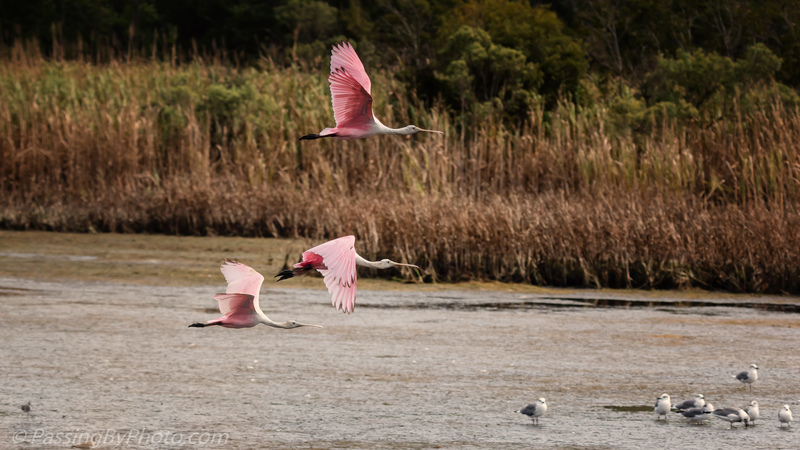 A small flock of Roseate Spoonbills was flying low over the marsh headed for a drained area just in front of me. I was hoping they would land but they kept going. And going, passing by the spot where some shore birds had gathered and I had a good view. They landed just to my right, behind some reeds. Bear Island Wildlife Management Area, SC, 10/20/2018. 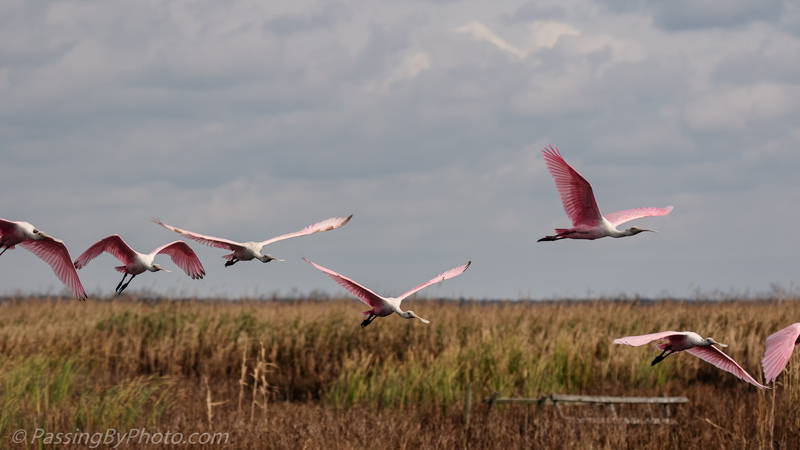 These are beautiful birds with their pink coat. The 2 last photos are perfectly captured. Thank you, Greta! The color is something else. The pink against the sky and marsh grass is lovely. You caught the birds in perfect formation. 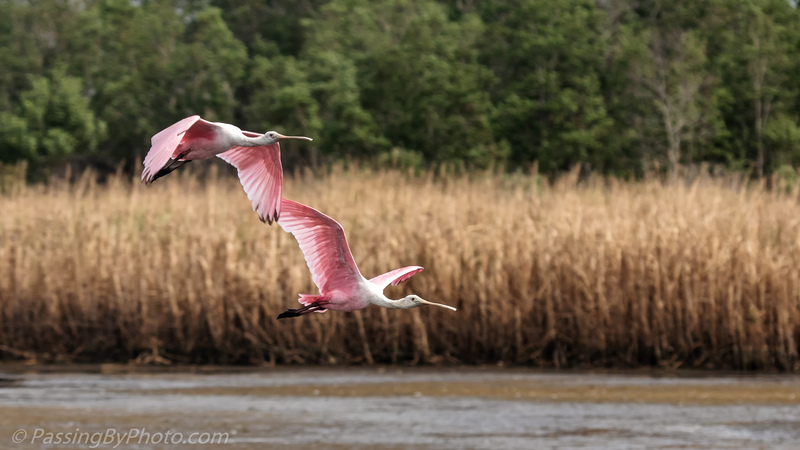 I was happy to capture them as they gracefully dropped down with no reeds in front of me. Thank you! You must be pleased that you caught them in flight. I am, Steve! They were being quite orderly about it, too.